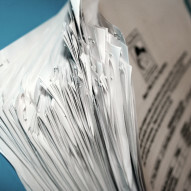 Archiving Paperwork is vital for any business. We are able to offer humidity controlled, heated units up to 150 square feet to store your paper archives in a clean and safe environment. We currently also have some office space available to allow for sorting and scanning your archives before your store. We can also offer sturdy shelving to go into your unit and arrange for the ordering of archiving boxes. Depending upon your requirements we can tailor the services we offer for storing your paperwork. We can offer 12 months storage for the price of 11! For local business with HR2 or HR4 postcodes. Please contact us on 01981 251786 to discuss OFFER FOR OCTOBER 2015. When will your storage term start?